Vision: Empowering ALL students to unprecedented academic, behavioral and social-emotional excellence. Mission: The mission of Student Support Systems is to support MPS staff and students. Student Support Systems will help to guide positive evidence-based practices in MPS in order to support all students academically, social-emotionally and behaviorally. What is Student Support Systems? The Student Support Systems department supports Mesa Public Schools by implementing and sustaining a multi-tiered system of support framework that fosters a problem-solving culture integrating assessment, data-based decision-making, and intervention in a continuous cycle designed to maximize the educational opportunities of all students. 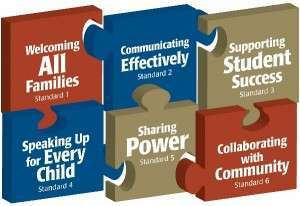 Student Support Systems is committed to the success of every student and recognizes that because each student is unique, a "one size fits all" educational program is insufficient to meet the needs of all of our students. Some students will need different supports than others, and fulfilling this charge will necessitate a team-work and "all in" approach. With a focus on creating life-long learners and contributing members of the community, we assume the responsibility for the growth and development of the whole child, understanding that academic, behavioral and social-emotional instruction all play critical roles in the long-term success of our students. Student Support Systems serves as a link between students, their families, school resources, and community-based health and social services.